Tuesday's wild and wooly rush hour rolls on and new problems continue to pop up. 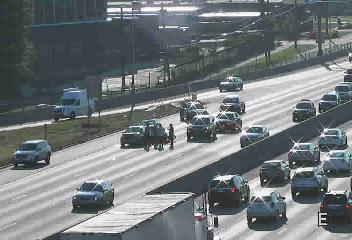 A wreck partially blocking the right lane of westbound I-694 near University Avenue in Fridley is making for a 30-minute trip from I-35W to Hwy. 252. 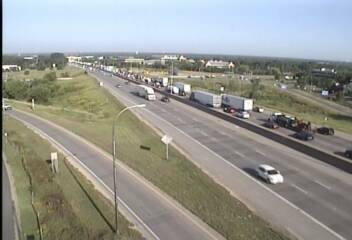 Traffic at 8:30 a.m. remains stacked up in Bloomington on westbound I-494. A motorcycle crash at Hwy. 100 just cleared, but the damage has been done. Traffic is still backed up to near Cedar Avenue. This is what the scene looked like earlier. Westbound Crosstown is sluggish with some drivers opting to use Hwy. 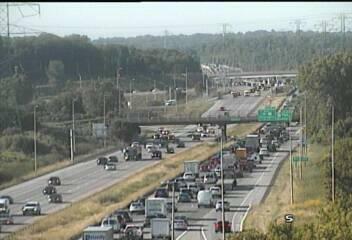 62 to avoid the big back up on I-494. Northbound Hwy. 61 is back to normal now that a mishap at Glen Road in Newport has cleared out. Southbound I-494 at I-394 is jammed due to a crash at I-394. All this came after a wrong way crash shut down westbound I-94 at 7th Street in Minneapolis. The wreck cleared just after 7 a.m., but it was the first of several crashes across the system on Tuesday morning.